As a homeowner, there are a number of home improvement projects that you can take on to polish the look of your home and increase the value. One such project is replacing your windows. Not only do replacement windows improve and update the look of your home, but they can also increase its energy efficiency. 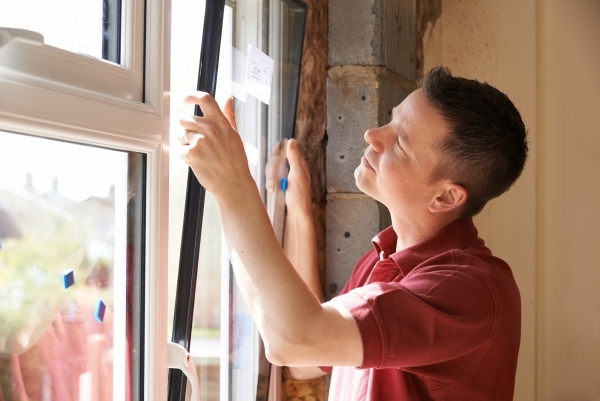 Here are 5 facts about replacement windows and energy efficiency. Replacing your windows is one of the best home remodeling projects to recoup the expense if you decide to sell. You could see up to an 80% recoup in the cost put into the windows when you go to sell. Replacement windows also increase the overall value of your home. Value equals equity. Having extra equity on hand could come in handy for your next major home improvement project or unexpected expense. You will see a difference in your energy bill once you have your current old, drafty windows replaced with energy-efficient ones. The amount of your savings will depend on the size of your house, how well insulated your house is, your climate, and how many windows you replaced, but there will be a difference. Typically, the higher the grade of window, the higher the savings. Windows with “Low-E” glazing are more energy efficient than ones without as the Low-E windows are better able to reflect solar energy than absorb it. Often, you will find replacement windows that contain the Low-E glazing and are gas-filled. Vinyl replacement windows are one of the most popular choices for homeowners due to their durability, low maintenance, color offerings, and overall good energy efficiency. There are other materials that energy-efficient windows come in, which could be a consideration for particular climates or specific looks, but overall, vinyl is the most popular. You should also consider the newer composite windows now available. Windows are made differently, even among energy-efficient ones. Examine the Energy Star ratings and the description of the windows you are considering to make sure they will be the right fit for your home-remodeling project. The National Fenestration Rating Council can help you decide what type is best. Major projects like replacement windows can be daunting for homeowners due to the expense. However, replacing your old, drafty, leaking windows with quality energy-efficient ones is one of the best decisions you can make.